The Utah three (3) day noncompliance eviction notice can be served by a landlord on a tenant who has violated their lease agreement. 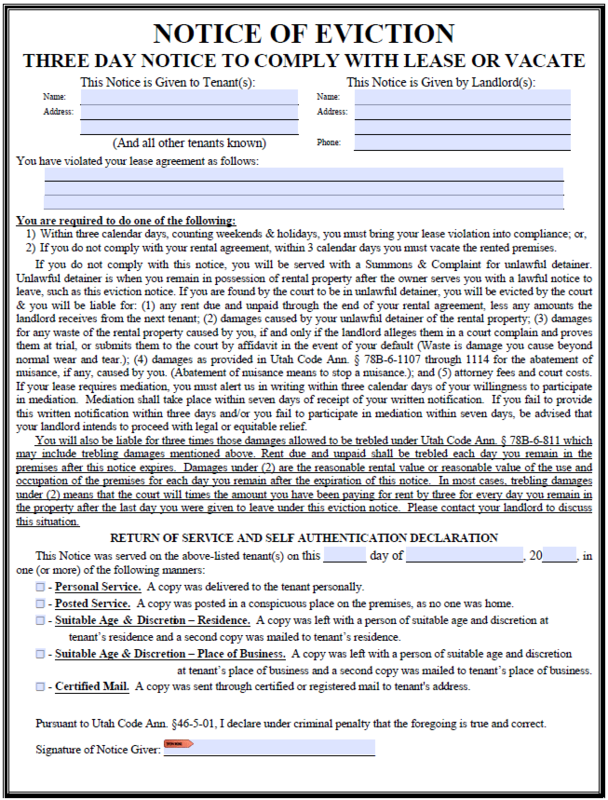 The notice provides the tenant with three (3) days to remedy the violation or move out of the rental unit. Failure of the tenant to comply with the lease agreement or move out of the unit allows the landlord to file an eviction action (lawsuit). In the State of Utah, eviction lawsuits are filed in District Court.